Facing harassments, threats, smear campaigns, defamation, legal prosecution, and even death threats can be a part of many human rights defenders everyday life. When the situation escalates and someone is in acute danger, Civil Rights Defenders’ Emergency Fund is there to provide rapid support. The Emergency Fund can, for example, be used to temporarily relocate people or to quickly provide specific security improvements. In total, we have supported 127 human rights defenders from 18 countries in 2018. In some cases, relocation of a human rights defender is a life-saver, in others is a rare chance to rest and prevent burn-out. Short term or long term relocations remain one of the most requested type of support. The primary goal of a temporary relocation is to enjoy a safe stay and then return home to continue the human rights work. Most of the time that is exactly how it works. However, that is not always the case. In some instances, human rights defenders are forced to seek longer term protection, because the risks they have been running from are still real back at home. Even then, they do not stop fighting their fight, but rather change the format of their work. But relocation is a last option. Civil Rights Defender focus on and stress the importance of preventative measures and mechanisms. More than one-third of our grants went to strengthening and improving the security of human right defenders and their organisations. Such measures include office/home security improvements, security trainings or upgrade of equipment. For example, we have provided security equipment and office restoration support to an organisation in Russia, one of our long-term partner in the region, after their office was set on fire. Often these measures are combined with temporary relocation or legal aid. One such case this year came from Kenya, where ten witnesses to an important and strategic class action case were temporarily relocated and participated in security trainings to ensure their continued security and safety. Support to human rights defenders can also be in the form of moral and psychological support. Human rights defenders often work under a lot of mental stress and tension. In many cases, humanitarian interventions are offered in the form of assistance to imprisoned or just-released human rights defenders. Psychotherapy and medical rehabilitation after years of stress and strain is another type of much-needed support. In total, Civil Rights Defenders have supported 127 human rights defenders during 2018, from 18 countries, including Bosnia and Herzegovina, Cambodia, Kenya, Kyrgyzstan, Myanmar, Russia, Tajikistan, Venezuela, and Uganda. 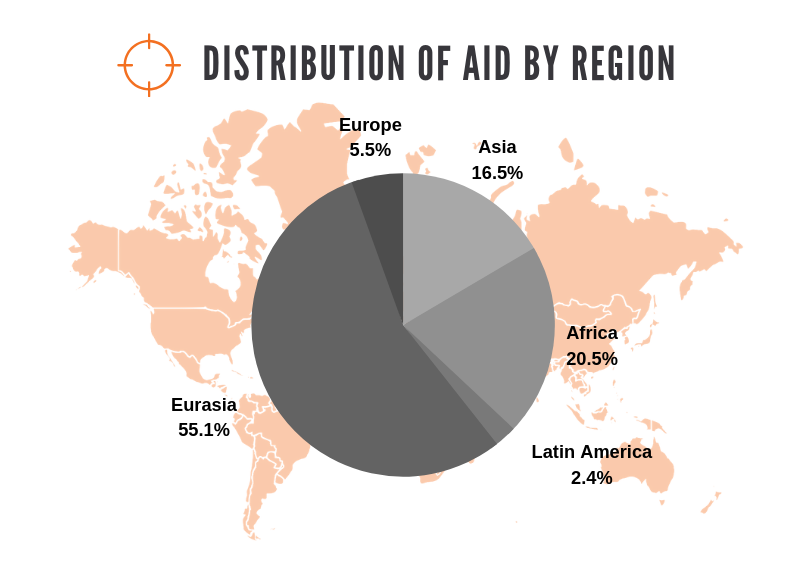 The largest number of HRDs supported came from Eurasia, followed by East and Horn Africa, South East Asia, Europe, and Latin America. The numbers more or less reflect the scope of Civil Rights Defenders’ activities in the respective regions. 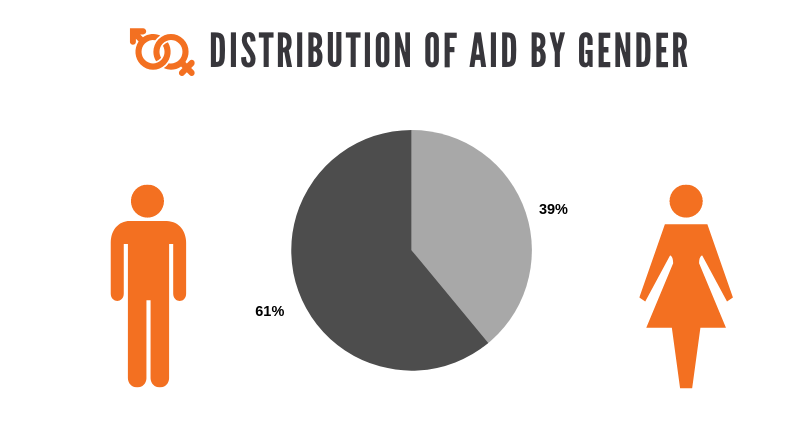 Among those who received emergency assistance in 2018, 61% were men and 39% were women. We process all applications equally, irrespective of gender. Human right defenders always receives support based on their security situation. Some threats and risks might be gender specific but that does not affect the process of evaluation and grant management. 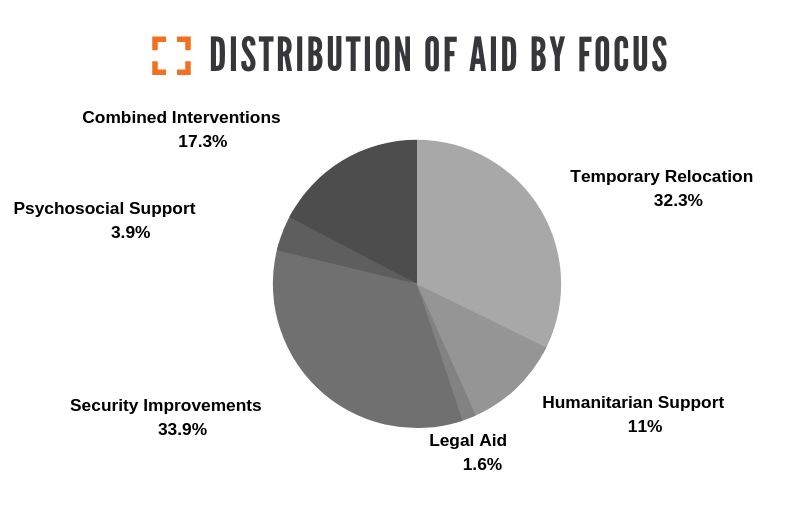 The overall assessment of the grants that have been reported on is very positive and in 98% of cases, human right defenders are still involved partially or fully in human rights work after the end of the support period.